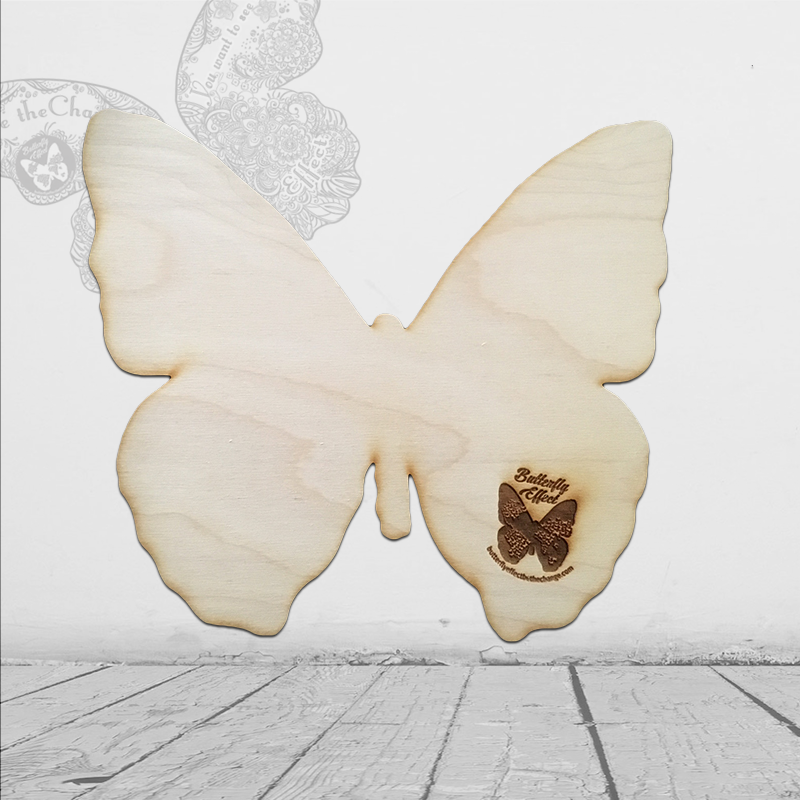 The Original Butterfly Effect Butterfly Drop Wooden Base. Join the movement and get started with your butterfly drop today. Design and decorate your butterfly drop and be the change! *Please contact for bulk pricing! This signature wooden Butterfly Effect blank wood butterfly can be used to do your own butterfly drop(s). This is where it all begins! 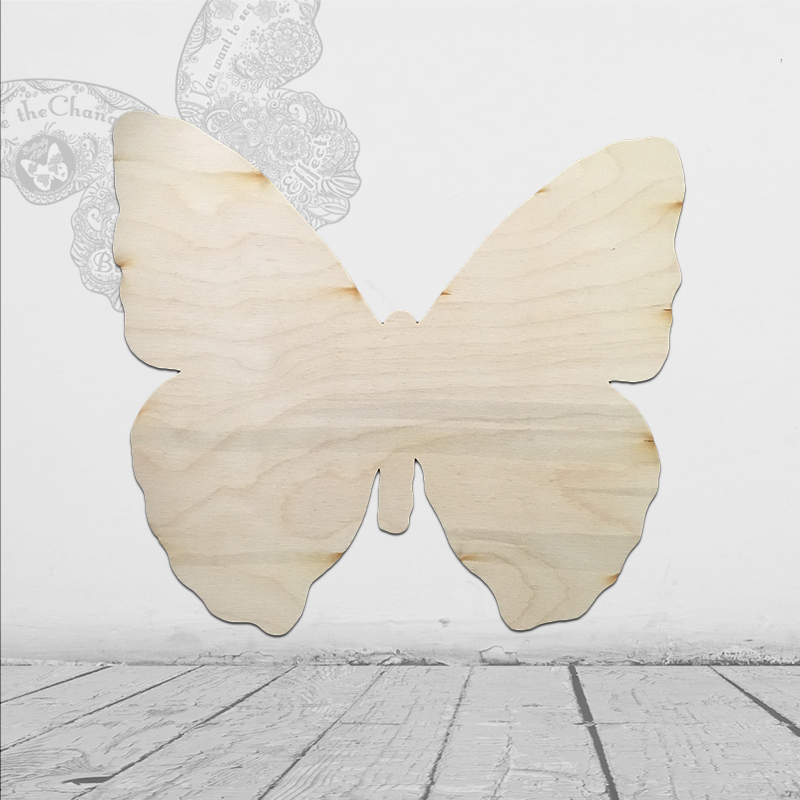 This is a 12″ Blank Butterfly wooden cutout, with the Butterfly Effect Logo on the front. Wooden cutout shapes are great for craft projects, embellishments, holiday ornaments, creative tags, classroom projects, wreath embellishments and so much more. Our wood cutouts are easily painted, colored, decoupaged and just about anything you can think of. These craft cutouts are made from Birch Plywood and, laser cut. They come unfinished and have a distinct charming brown edge.